When Dubroom Message Board member David Pablo posted "Buju Busted", it drove the immediate attention of the Babylon Observer and it's readers/visitors. Consequently, the news was on the events was monitored and comments were attached. When the trial finally took place last week, an end was put to all speculations and the case itself is rather clear: Buju Banton is innocent of dealing drugs but has put himself in a lot of trouble as he was, according to his own words, "talking crap and tried to impress". 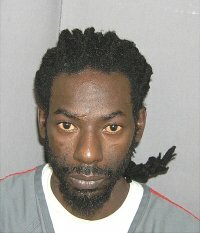 In short: US Gov't assigned an informer on Buju Banton, with the mission to entrap him in some kind of predicament. After a European tour, namely, on a flight from Spain to Florida, this informer established contact with Buju Banton and fed him wine, more wine, with the result that the two were speaking about cokane deals and Buju on his side told -indeed- a lot of crap, according to his own saying just to "impress" the agent. This informer, later in the year, took Buju on a trip to a boat. Being of the impression that they would have a nice time on the water or something like that, Buju was then being confronted with a bag of cokane and was filmed tasting it. The informer indeed organized a cokane deal, but there were two other men who he was actually dealing with. In the trial, he admitted to this as well. The other two men have both signed plea-deals to get shorter sentences. According to the Jamaica Observer, Buju Banton was "offered" two years in exchange for his confession but refused because he is not guilty. A wise move, for when you're innocent you don't want to be registered as a criminal for the rest of your life. On top of that, why lie? Closer observers could see how Buju Banton was really a very easy target for the agent provocateurs, so-called informers whose job basically is to keep crime rates high and prisons full. Someones make good living of the fraudulent "war on drugs", someones who want to keep drugs illegal. Simply put a paid informer at work for $50,000.- and start to boast a little in a first class plain-travel. Those who know Dancehall music know that a huge part of it consists out of boasting lyrics: if taken literal, all dancehall artists should be in jail for wanting to kill each other and much more. This is a mentality which fits perfectly in what Buju Banton did "backstage", if you will. He thought he was taking part in some kind of DJ contest where the one with the biggest mouths gain the most respect. It must be taken into consideration that the life people like Buju Banton live is far from that of a "normal" life. He is probably surrounded by people who need to big him up all the time, for their own benefit or not. When you hear all the time how good you are and all of that, it's difficult to stay humble. Hopefully, the jury will see all this. Nothing worse than a group of people who are supposed to practice truth-finding rather than filling pockets and prisons with people considered "politically incorrect". Buju Banton is a high level target of the homosexual community, there are web logs cheering over the fact that Buju is in jail. To them, he's in jail because of his stance towards the sexual preference of others and to them, rightfully so. Will the jury agree with that, or not? The weekend in which this is written, is still a time of uncertainty when it comes to the final verdict of the jury and judge. Apparently the jury couldn't even agree over the question as to whether a crime was committed or not. It was the judge who told the jury: "A crime was committed, your task is to decide as to whether Buju Banton is part of it or not". That question is easily answered, and when the jury turns out to declare guiltiness on Buju's head then the real guilt will be on the jury's head and the Real Judge, JAH, will eventually judge the righteous judgment.